Find hotel near Animesh Lochana Chaitya S ..
Animesh Lochana Chaitya Shrine is believed to be the place where the Buddha had spent the second week of his meditation for enlightenment, looking at the Bodhi Tree without batting an eye lid. Located within the Mahabodhi Temple complex, this small and calm temple is often used by visitors for deep meditation. Buddhist monks hold early morning sessions to teach about spirituality at this place every day. Overall, a trip to the holy city is incomplete without visiting this spiritual shrine. How popular is Animesh Lochana Chaitya Shrine? 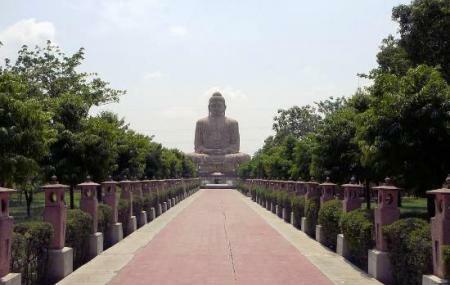 People normally club together Mahabodhi Temple and Bodhi Tree while planning their visit to Animesh Lochana Chaitya Shrine.